This is from the Crossroads Bar at the Swissôtel Merchant Court. It’s the Kampong Satay with mutton, chicken, and beef. The complements are rice cake, cucumber, onion, and salty pineapple. 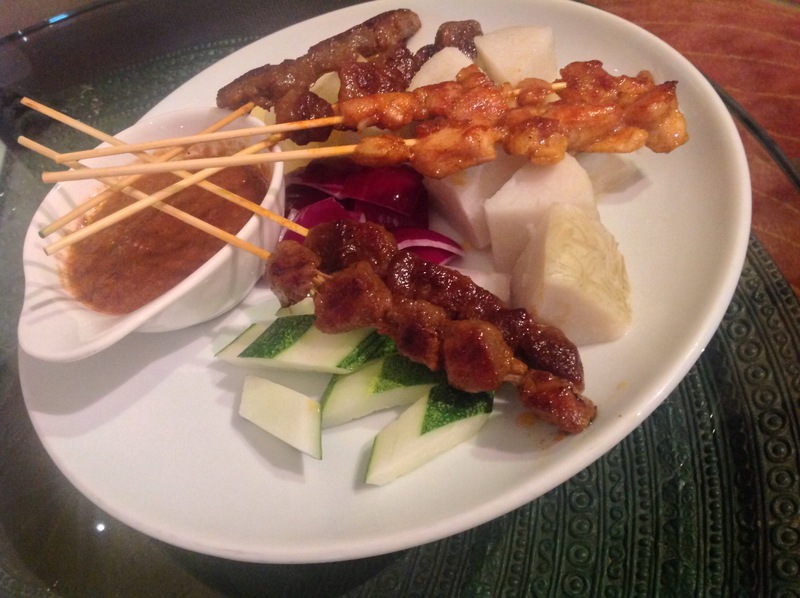 The satay is supposed to be dipped into the warm peanut sauce. The rice cake and salty pineapple are not the usual preparation in the U.S.; further, the peanut sauce is never warm. Expensive at $18 Singapore Dollars but very well executed.